The Astros let AA Corpus Christi manager Keith Bodie go after the 2014 season citing philosophical differences, Bodie told The Houston Chronicle in September. It was a determination that Bodie didn't understand, he told The Chronicle. "I don't know where that stems from," Bodie told The Chronicle. "Because my philosophy was to get each and every player as good as they can be according to their individual skills, and hopefully that would take them to the next level and ultimately to the big leagues." Bodie took that philosophy through a minor league coaching and managing career that has now spanned three decades. That came after a 10-season playing career. He hasn't seen the majors himself. Bodie's career in baseball began in 1974, taken by the Mets in the third round of the draft out of South Shore High School in Brooklyn. Bodie played his first two seasons at rookie Marion. He made AA Jackson in 1977 and stayed there for three seasons. He moved to the Astros system and AA Columbus in 1980. He then hit AAA Tucson in 1981. By 1982, though, he was done as a player. By 1984, he had started his new career as a minor league coach and manager. He started that year at short-season Auburn. He returned to Columbus as a coach in 1985. In 1986, he got his first managerial job back at Auburn. In 1988, he was manager at single-A Osceola. By that July, one of his players Trent Hubbard had stolen home six times, according to The Orlando Sentinel. "Stealing home is the most exciting play in baseball," Bodie told The Sentinel. "Once you realize how improbable it is with the pitcher 60 feet away and the runner 90, it's something to behold." 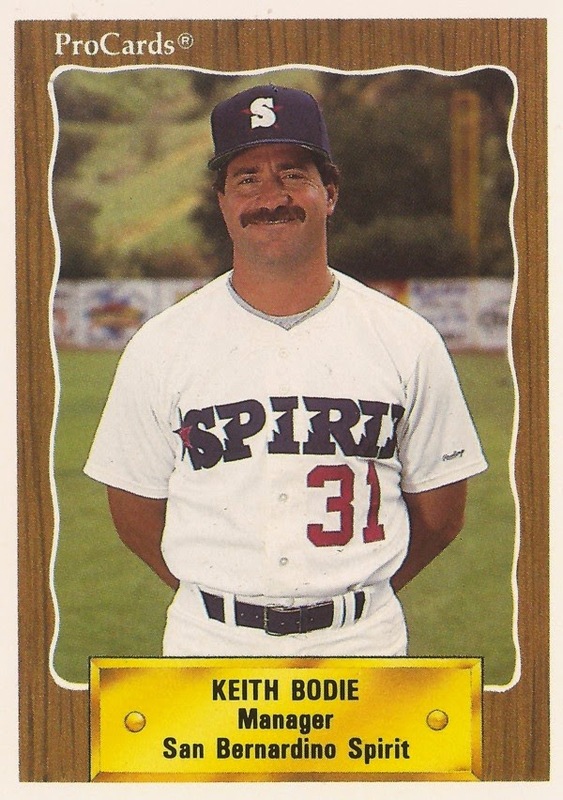 By 1989, Bodie was with the Mariners at high-A San Bernardino. He then returned to AAA, with Calgary in 1991. Bodie managed AAA Phoenix in 1995, then high-A Bakersfield in 1997. In 2000, he moved to the Royals and AA Wichita. In 2003, still with Wichita, Bodie watched over Royals prospect and future Cy Young winner Zack Greinke. "All I keep hearing is how special he is," Bodie told The Wichita Eagle of Greinke then. "You keep hearing the same thing about a kid over and over, you tend to believe it." He joined the Astros in 2007. In 2013, Bodie was the one who sent Cody Clark on to the majors for the first time - in Clark's 11th season as a pro. Bodie broke the news, according to MLB.com. "I broke down," Clark said, according to MLB.com, "and said, 'Thank you.'"